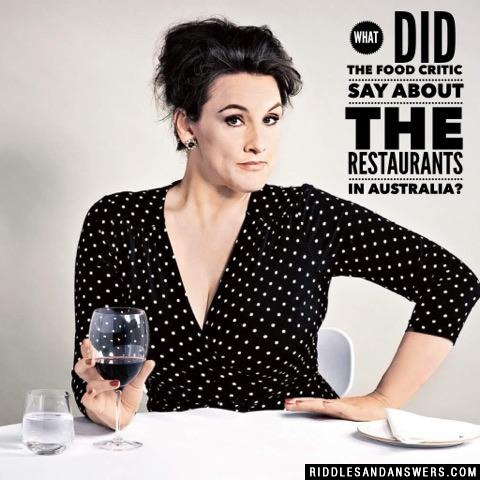 What did the food critic say about the restaurants in Australia? "They serve the best koala tea." What is further away Australia or the moon? Australia,we can see the moon at night. What is found in the middle of both Australia and America? 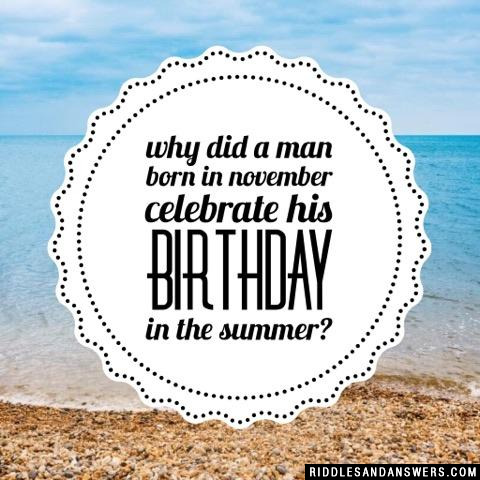 Can you come up with a cool, funny or clever Australia Riddles of your own? Post it below (without the answer) to see if you can stump our users.